2/18/2019: A sixth person has died as a result of a single vehicle crash that occurred earlier this month in Prince George’s County. The sixth victim is identified as Cornell D. Simon, 23, of Oxon Hill, Md. Maryland State Police Crash Team investigators were notified that Simon succumbed to his injuries on February 15, 2019. Simon was the right front seat passenger in the 2005 Chrysler Pacifica that ran off northbound Rt. 301 early on the morning of February 2, 2019. Also killed in the crash were five children including London Dixon, 8, and Paris Dixon, 5, both from Bowie, Md., and Zion Beard, 14, Rickelle Ricks, 6, and Damari Herald, 15, of Washington, D.C. The children were pronounced dead at the scene of the crash. The only survivor is identified as Dominique R. Taylor, 32, of Bowie, Md. Taylor has been identified as the driver of the vehicle. The Maryland State Police Crash Team investigation into the cause and contributing factors of this crash is continuing. No charges have been filed and investigators continue to examine all possibilities. Upon completion of the investigation, it will be presented to the Prince George’s County State’s Attorney’s Office for review and consultation regarding charges. 2/2/2019: Maryland State Police troopers are continuing their investigation into the cause of an early morning crash in Prince George’s County today that took the lives of five children. 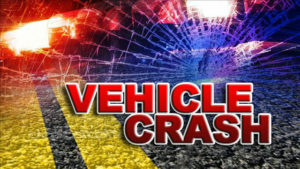 Shortly before 5:00 a.m. today, the Prince George’s County Fire Department notified the Maryland State Police Forestville Barrack of a reported vehicle crash on northbound Rt. 301 in the area of Pointer Ridge Drive. Responding troopers found that one vehicle was involved with multiple victims and an extensive crash scene. All lanes of northbound Rt. 301 were closed to facilitate the rescue operations and subsequent investigation. This entry was posted on February 20, 2019 at 12:33 am and is filed under All News, County, Fire & Rescue, Law Enforcement, Prince George's News, Top News, z 600X120 Top Ad Bottom, z 600X120 Top Ad Top. You can follow any responses to this entry through the RSS 2.0 feed. I hope 5 cases of vehicle man slaughter are brought up on each adult. News 4 just reported that she was driving drunk. They didn’t state a specific BAC, only that she was more than twice the legal limit! I wish this state still had the death penalty, she is a prime candidate. Are we gonna see them in jail for child endangerment? Justice need to happen. It’s sickening that these kids were not secured in their seats and there is NO EXCUSE. News 4 article states only one row of rear seats were in the vehicle and all 5 kids were crammed into it. Why are grown adults so STUPID? I bet that if the kids had been secured, they’d still be alive. More low class citizens that choose to be ignorant. What about the idea of people not being able to afford another or a bigger car for there family’s to fit does that sicken you ? Because this is what some family’s are experiencing sometimes it’s a really good idea to think of what we say and are publishing to the word don’t you think ? Yes thank you so much people always speaking on things they dont know yall dont know her story. Sweep under your own carpet before you worry bout hers. Yes, let’s sweep under our rugs to get her BAC posted. How drunk was she when she got behind the wheel and killed 6 people? She’s a POS and deserves to rot in hell. What does the size of the vehicle have to do with the fact that NONE of them had seatbelts on? You’re about the stupidest person I’ve met on SMNEWSNET. Stop trying to blame someone else for their lack of competence and hold the adults accountable, dead or alive. Simple solution….stop having kids that you can’t provide for. Oh that’s right, you probably don’t. But my taxes do. But think they also pay for birth control also. You clearly didn’t think out that argument before you posted it. The driver was hardly young at 32. Try posting again, next time with less jibberish. Why would you write The children are believed to be position in the rear seats of the vehicle. You make it seem that they were already dead and put there before the accident. That the children were already dead and the parents put them there and ran off the road to make it look like it was an accident. I think better choice of words were needed here. Never assume . May the parents and family find peace in this tragic time. I read the article twice and I didn’t think that at all. Maybe you should concentrate on putting together a coherent statement before making outrageous claims. Idiot. Ok. English 101. The phrase The children seem to be position. Means to place something .Tells me someone placed them there. Not of being of natural position. The group of words state that. Go back to English class . First, “position” versus “positioned” is important. English 101. Why cant people put “ed” on the end of the word? “The children seem to be position” doesnt even make sense, regardless of whatever intellect you are trying to express. “The children are believed to have been positioned in the rear seats of the vehicle.” meaning that they believe the children were positioned (as in past tense) in the back seat at the time of the wreck. That has nothing to do with them being “placed” anywhere; when an incident report is completed they notate the position of each passenger at the time of the incident (i.e. the driver was positioned in the front left seat, etc.). I think you are thinking too far into the actual sentence/trying to create your own murder mystery. THAT was supposed to be an English lesson? It seems that nobody but you interpreted “the children are believed to have been positioned in the rear seats of the vehicle” to mean that they were dead prior to the accident. So maybe it’s you who needs to work on your reading comprehension skills. You’re an idiot. Please stop breathing. All ejected. Means no seat belts or safety seats. WTH is wrong with people? My heart breaks for those little ones. Maryland state law requires ALL passengers of ALL ages to wear the seat belt regardless of seat location. ALL means ALL. I don’t get the aversion to wearing a seatbelt. I just don’t. What a heartbreaking potentially avoidable fatal incident this was, five innocent lives snuffed out for no other reason but careless lazy ignorance and indifference to the precious cargo they were transporting. The responsibility should lay squarely on the shoulders of the two adult survivors who had the common sense to selfishly buckle their own asses up and left those five children packed in the back seat like a herd of cattle without safe guards to protect them. It does not matter at this point the circumstances surrounding the crash, speed, drinking, drugs, ice, deer, etc. It happened! What matters here is that five little lives were loss because of sheer disregard for life of those children by the two adults in the front seats! So it doesn’t matter? Good Lord it absolutely does matter. So by your logic if the adults were negligent there needs to be no punishment for ending these 5 children’s lives? Idiot. Look who is calling who an idiot…Go back and re-read what was written. If you had read this in the correct content you would have realized that what was being expressed is that what mattered first and fore-most is that the children should have been safe and secured within the vehicle. As for how it happened of course that matters and the families left behind deserve truthful answers. SPEED KILLS ! RIP little ones ! Any pictures of the accident scene? Speed kills ! Lock the SOB up and throw away the key. But, yet, Prince George’s Co PD and MSP Forestville and Charles Co Sheriff Office continue to maintain their fight with each other in regards to the southern end of MD Route 210 at the County line, it’s both nobody and everybody’s fault – when something occurs around the county line; hence, why there is such limited patrolling of the vicinity, leaving me shaking my head every morning. This is why the Drag Racing deaths occurred in February of 2008, nobody was patrolling it! Step up Speed Enforcement on the whole of RT210, at every light – especially. Another 3100 hundred traffic tickets could be had in the next 30 days with MSP Forestville actually doing their part to patrol the area, since they claim Rt. 210 is a “Maryland Road” and “theirs to patrol”. Tax the stupid-crazy drivers to death! This could be the needed injection of funds to multiple police agencies on every road in Southern Maryland, especially at rush hour from 4am-9am and 2pm-7pm instead many police departments, are busy at the station with Shift Change and drivers know it. Several Officers also need to stop engaging in these tactics of taking up precious time, to do full road side commercial vehicle inspections and/or hunt for drugs (based on the premise of smelled marijuana), cite them and move the hell on, there’s another idiot speeder passing right behind them, that doesn’t even change lanes with an Officer parked on the right. Next, suspend the licence immediately of any idiot that gets pulled over and pulls to the left hand side, or stops in the fast lane or a left hand turn lane. People are just cruel. I know one of the victims. Have any of you heartless a__holes forgot the roads were icy? What about that one? Any speed and ice don’t mix. What is wrong with you folks? Six people lost their lives. What if this was your family? Would you want to read the garbage people are posting about your dead love one(s)? And you d__m dummies have the nerve to sit on the internet arguing over this. Get a life! Wow, you knew one of them. Ice wasn’t cited as a contributing factor, in fact we don’t know as the investigation hasn’t been completed. I have no sympathy for the two idiots in the front of the car since they didn’t have a heart for the children. The lone survivor needs to be held accountable for her inaction as an adult as she KILLED 5 innocent kids. What if that was your kid that she killed because she was too ignorant or lazy to properly secure them? Let that sink in. I’m not heartless, I’m just tired of people not being held accountable. Someone needs to stand up for the innocent.